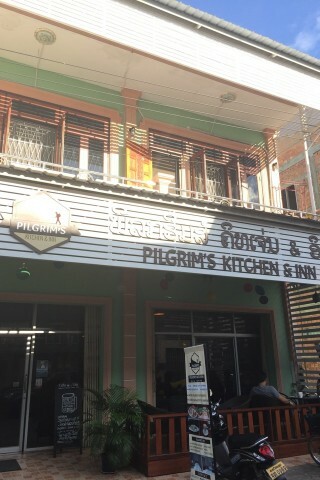 Some may remember Pilgrim’s from its Luang Prabang days—the cafe was there for eight years before relocating to Savannakhet. The main draw of Pilgrim’s Inn would be the ground-floor backpackery cafe/restaurant serving up good coffee, decent Indian and Mexican fare. It’s a pleasant hangout spot and hub for travellers, which may be enough to entice backpackers to stay in the slightly overpriced rooms which are well-appointed but will be a stretch for modest budgets. The rate may be due to the in-room extras such as safety box, large fridge, kettle and big bathroom. It also sports some gorgeous photography and artwork. Yet some rooms feel quite dark and we noticed some walls had water damage and needed new paint or at least a better touch up job. Pilgrim’s Inn now faces some stiff competition with Hostel Savan Cafe, which is also located in Savannakhet’s charming historic quarters. The English speaking owner is friendly and the cafe does events like open mic nights. Once you’ve had your fill of Indian food fix and socialising, it’s conveniently close to the Talat Yen night market and the Mekong. Last updated on 31st March, 2017. Check rates at Pilgrim’s Inn on Booking.com. 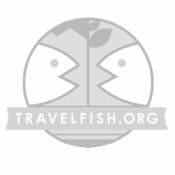 A selection of some of our favourite sights and activities around Savannakhet.